Featuring the gorgeous fabric line Pieceful Pines by Pam Buda for Marcus Fabrics. 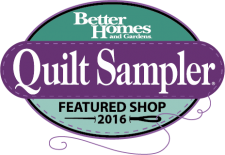 This is a 8-month BOM program which includes the pattern and all the fabric for the quilt top and binding. 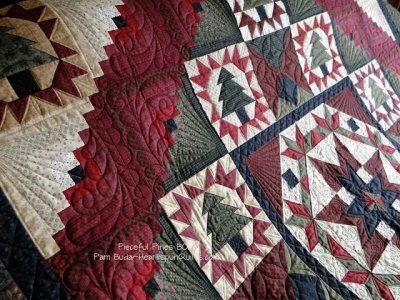 We're pleased to introduce PIECEFUL PINES, the beautiful collection and BOM program by Pam Buda. It offers a holiday look without an "overly Christmas" effect, making it perfect for the classic winter lodge theme, all season long. 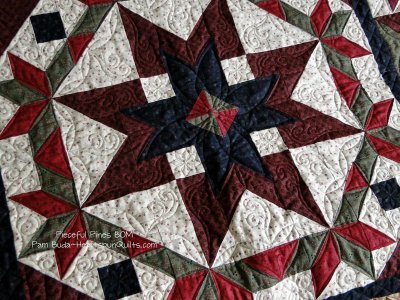 The center block of the quilt features a large star surrounded by an intricate wreath. 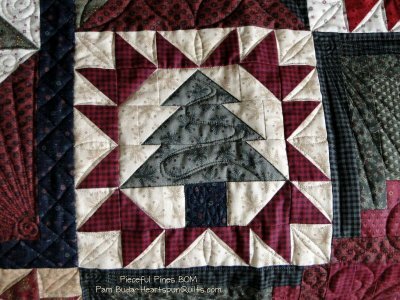 While it looks difficult to achieve, Pam's expert instructions include an easy piecing method to assure quilting success. 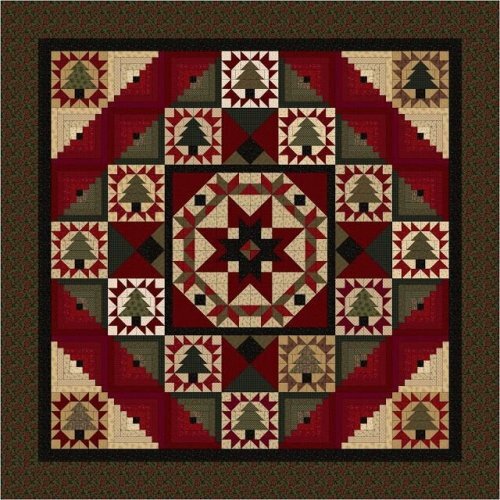 Pam then added Log Cabin blocks as the perfect fit with the Pine Trees and Christmas Wreath - together, they give a cozy feeling, with a striking splash of color! 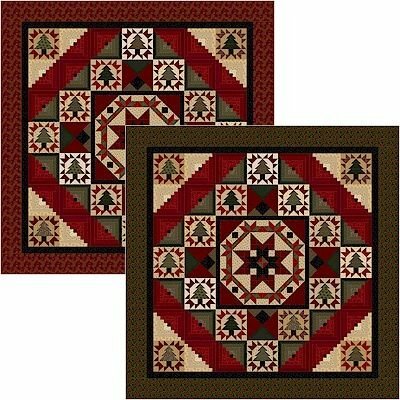 You can have your choice of outer border - either Red or Green. Cost each month: $28.95 (8 Month Commitment) Shipping will be $6.00 Priority Mail.